Integrate your machines into a fully automated cell to maximize throughput and increase uptime. Rail-guided, pedestal, or gantry robotic pallet management allows for dedicated loading and unloading of parts. Robot loading systems are custom designed for unmanned production, and allow machines of various sizes and types to be fully automated in a single cell. The robot can load parts into a dedicated fixture and automatically unload the workpiece onto the outboard pallet changer position. 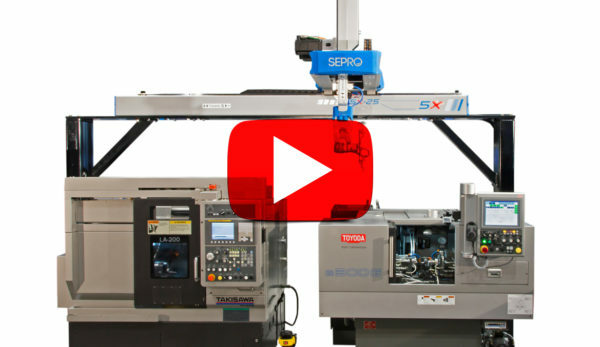 The robot can successfully identify and load the correct workpiece into the machining center. 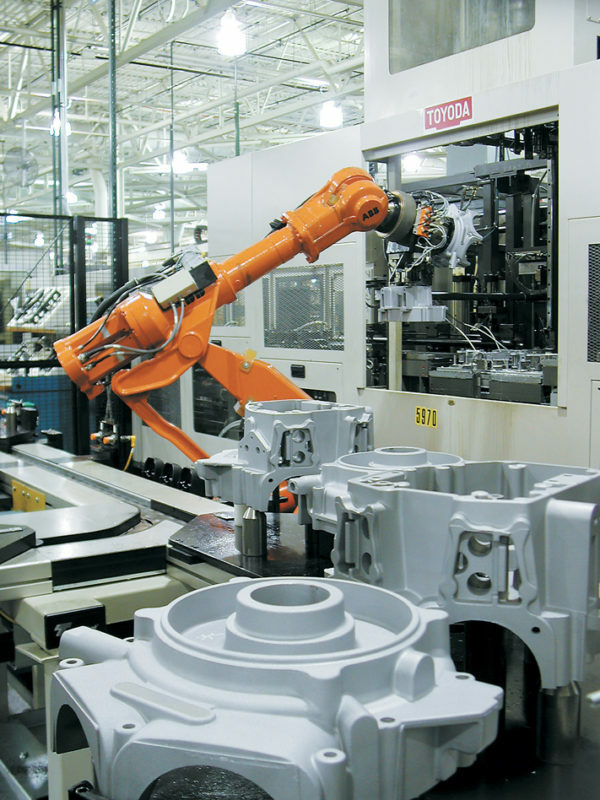 Robots are typically used for dedicated automation in high-production shops.